Ride-sharing apps such as Uber and Lyft have provided us with the opportunity to make a little extra money in our spare time. But should we be wary of using our own cars as taxis and how will it affect our existing insurance policies? Uber allows users to hail a taxi using a click of their thumb, any drivers local to them are alerted to their journey request and the user can see the details of their driver before they arrive. Customers pay their fares using the app at the end of the trip, the app client who then pay the driver on a weekly basis, and how much money you earn depends on how hard you’ve worked. 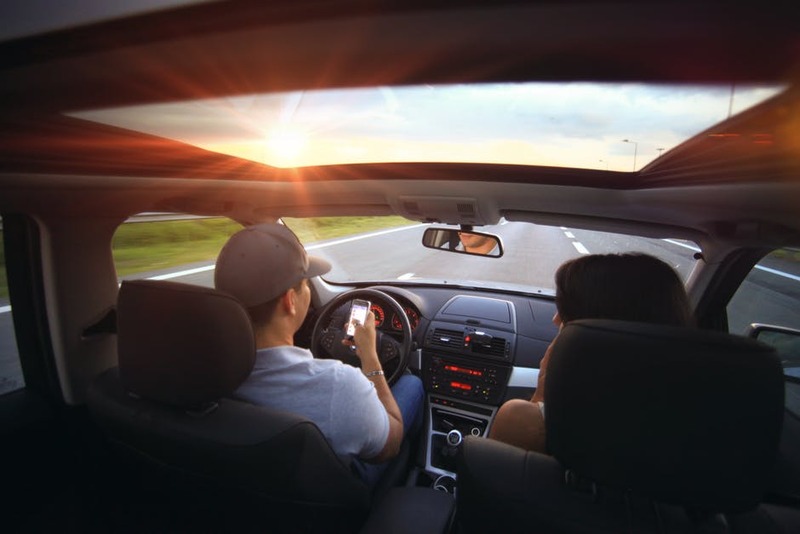 The flexibility afforded by such apps is tempting to those who want to earn a bit of extra cash in their spare time, but what effect can it have on your existing vehicle insurance? Can I begin driving immediately for a ride-share app? Before you even begin as a driver you must have the relevant paperwork in place, including Private Hire licences issued by local councils to taxi drivers and specialist taxi insurance, which you’ll need to get on top of your existing car insurance policy in order to cover yourself. UPDATE: As per Gov.uk’s announcement, you no longer need to apply through your local council and pass a DVSA taxi assessment to be eligible to drive a Private Hire Vehicle (PHV). You may visit this website to see how you can apply for a driver’s licence for taxis and PHVs. Do I need any additional insurance? Your personal car insurance policy will not cover you against commercial use, so having additional taxi insurance is essential if you want to make use of such schemes. Uber and others do not offer insurance as part of the service but do conduct background checks on potential drivers, and will look at aspects such as driving convictions when selecting if you’re suitable. Having a public liability insurance policy helps to cover you against claims made by passengers who may get injured or lose possessions whilst in your car. Because of the unpredictability of your passengers and situations, having said insurance in place can help protect you as you’re doing your rounds. Can I use my current car for such a scheme? For example, some can be used but must be at least a saloon model, while some may be classified as higher-type vehicles and therefore qualify for a different class of pay. Say you have an 8-seater MPV and are able to transport more passengers as a result, if you wanted to use it for a service like Uber it would fall under a different category due to the size of the vehicle, which may lead to a higher rate of pay but could also incur extra costs. You can usually find a list of suitable cars on the company’s website, so it can be worth double-checking if yours if eligible before starting out. Tariffs are worked out according to the length of a journey, with factors such as traffic and any subsequent delays adding to the estimate as you go as these are determined using speed, time and distance. When the customer pays the app you’re then paid a percentage using a weekly payment, so the more pickups the more you’ll take home. Bearing in mind you’ll have other costs, such as petrol to keep it running, maintenance costs as a result of an increased use and the additional insurance you’ll require on top of what you already pay. Is it for me in the long-term? For some, it’s a useful little extra earner, but it doesn’t suit everyone so research is key when deciding if it’ll work for you, be sure to weigh up all the costs before committing. Also, keep in mind that all those extra miles you’re putting onto the vehicle, as a result, could add to the cost of your car insurance in future, particularly as it would have increased the distance of travel per year. If you’re thinking of embarking on ride-sharing as an additional job it can be worth researching into taxi insurance to see how much it’s going to potentially cost you. How Can I Become A Taxi Driver?